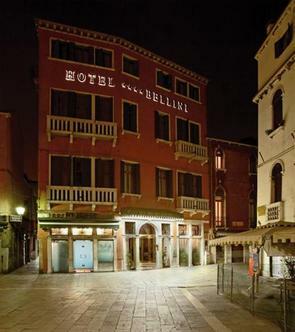 An exclusive hotel in the heart of Venice, right on the Grand Canal and just 25 minutes away from Saint Mark's Square, Rialto Bridge and the Jewish District. Modeled around a former aristocrat's home, the Bellini is enriched by gleaming marbles, exquisite Murano glass chandeliers, prestigious Brocaedes and silk, original frescos. The ambience is classy with an unusual friendly atmosphere. Aristocratic charm fills every corner of this beautiful hotel, from its refined lobby to its spacious, elegant rooms that impress for their d?cor. The elegantly furnished halls and meeting rooms are the perfect setting for small business meetings and informal gatherings. At the intimate lounge bar, the best selection of wines and cocktails marries a menu of Italian and international specialties.